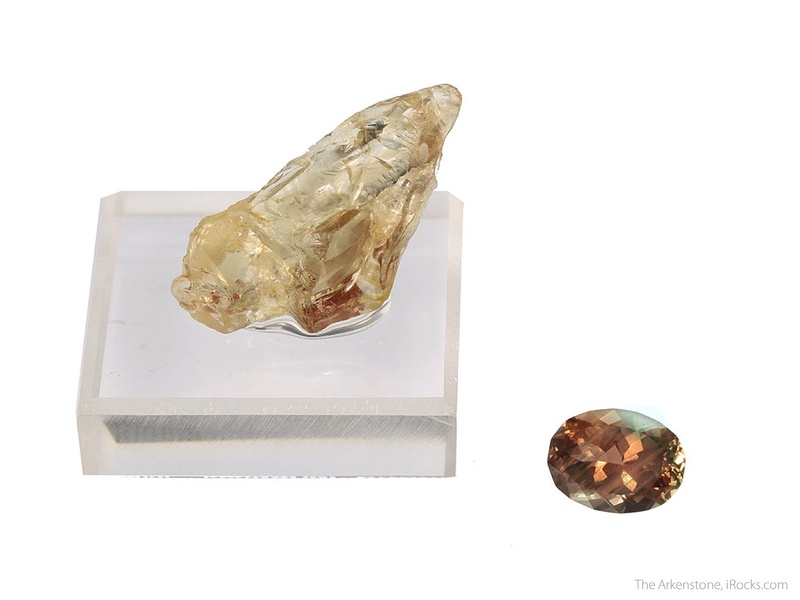 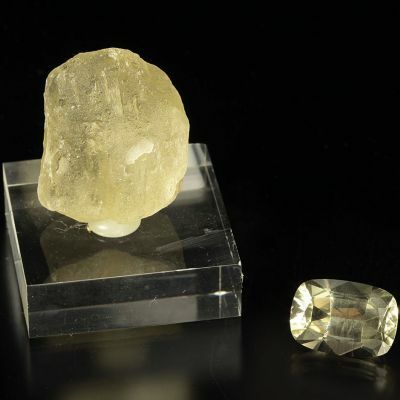 2.7 x 1.7 x 0.9 cm (Specimen); 3.57 carats; 11.45 mm x 8.52 mm (Gem) - Oregon Sunstone is one of the great U.S. gems, and faceted stones are now well known and appreciated by collectors all over. 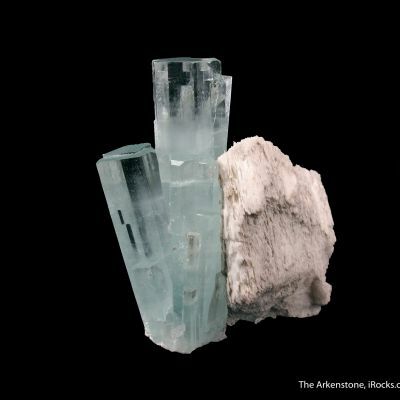 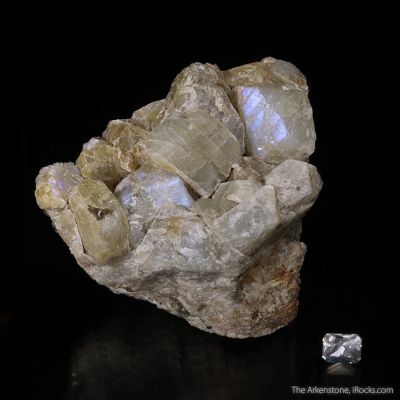 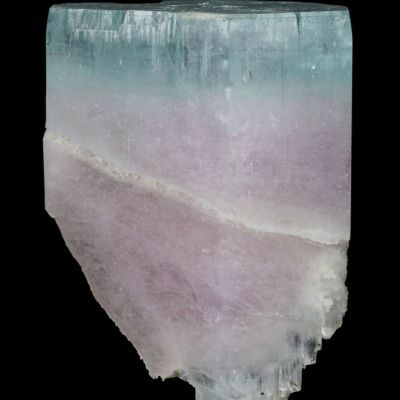 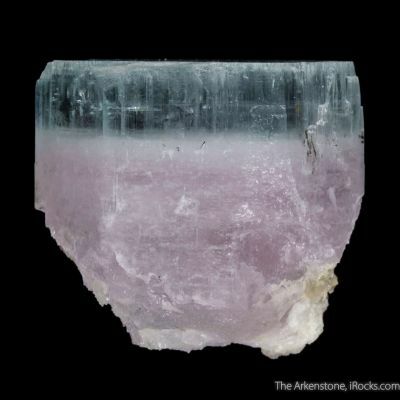 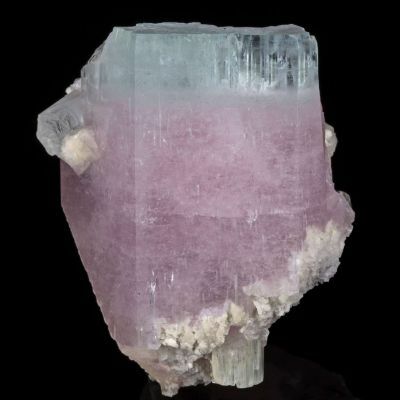 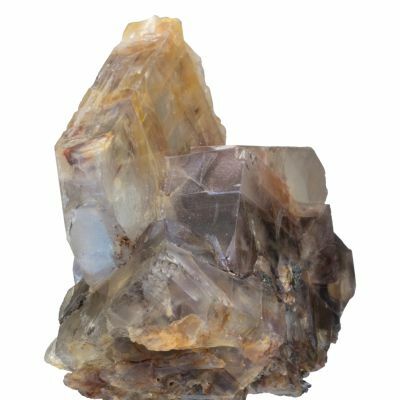 Even though it's always available on the market, it's rare from the standpoint that it is gem quality Feldspar that can range in color from blue-green to red with a large variation of color in between. 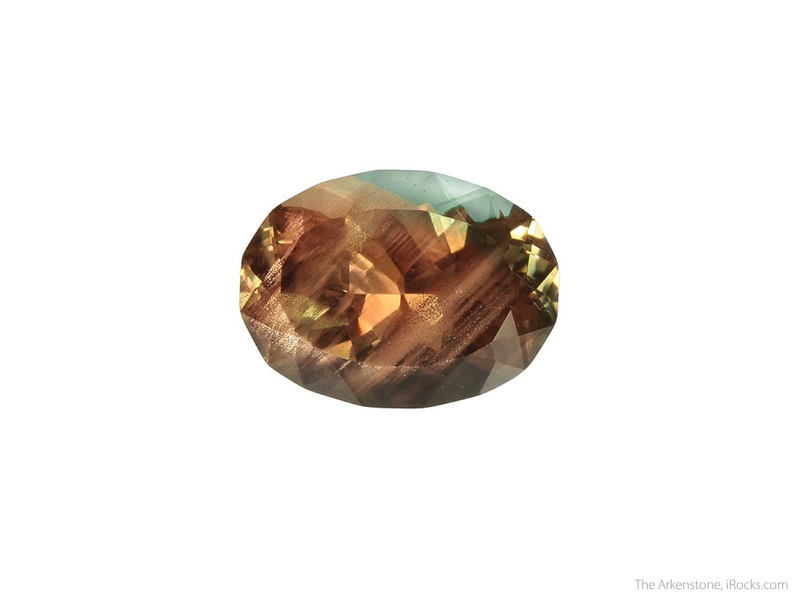 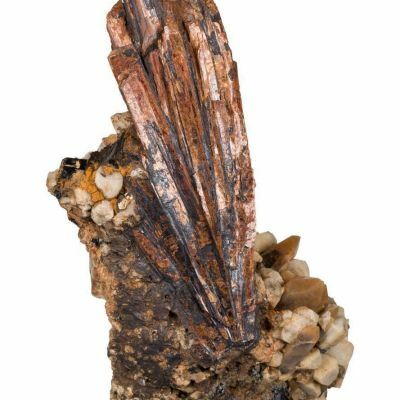 The distinctive feature of Oregon Sunstone is the internal "shiller" that is seen in many gems, which is a shimmer caused by internal metallic Hematite inclusions. 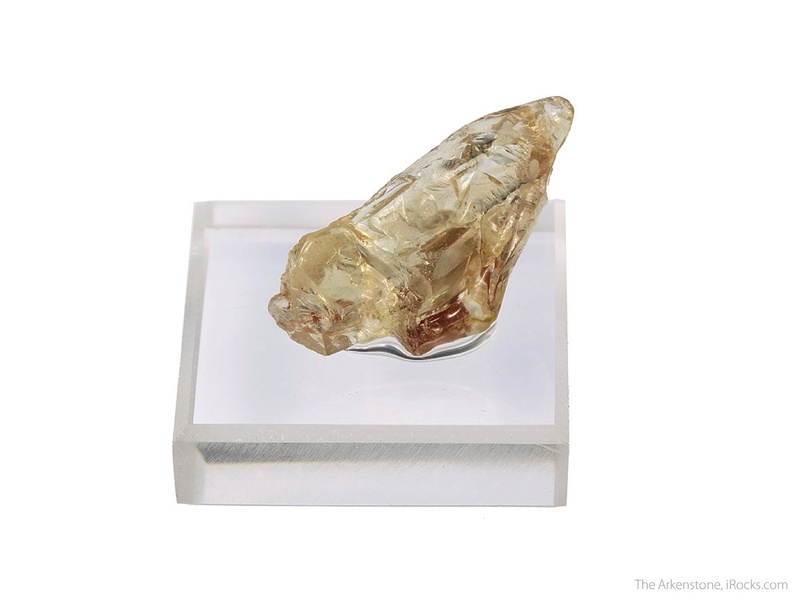 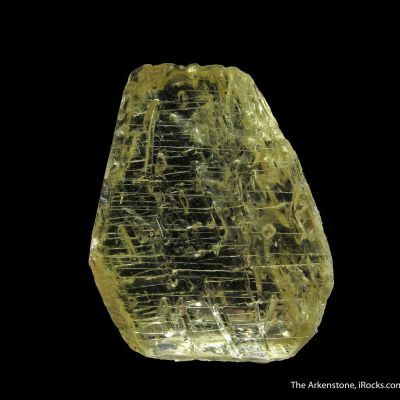 Some people consider the finest Oregon Sunstone gems to be those with the most brilliant shiller, while others appreciate gems with varying degrees of metallic brilliance. 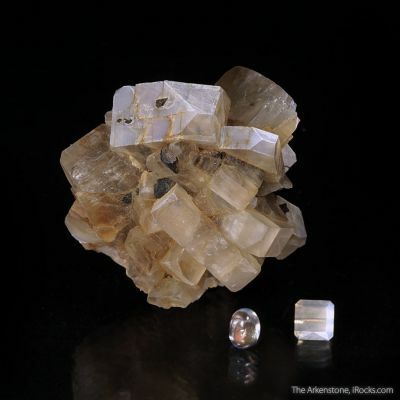 What makes this set so fascinating is not only do we have a wonderfully colored natural gem of Oregon Sunstone, but we have an actual crystal to go with it. 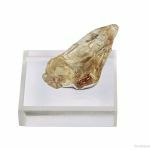 Now the crystal is crude in habit, but you can discern some actual faces despite the external etching and overall "rounded" nature of the piece. 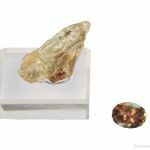 It makes for a great pair for the "Brilliant Oval" cut gem that shows wild coloration with a predominanly coppery-red hue, but has flashes of blue-green near the girdle and a few spots of champange Susntone as well. 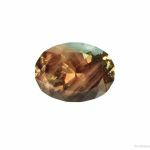 The "schiller effect" on this gem is STRONG with notable lines running across and through the gem when it's face up. 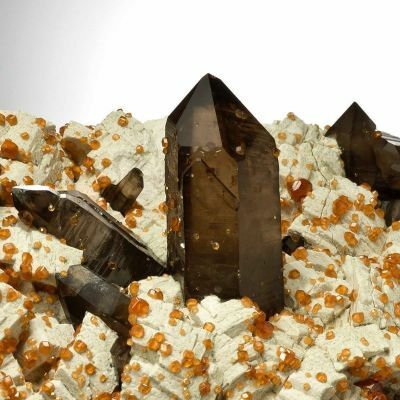 A great set of this unique and eye-catching untreated material.